As always, there’s comfort in the mystical benchmark of 60 million barrels as ample supply to handle demand from a normally cold winter. “I think we’re in real good shape with supply,” says Dale Delay, commercial manager of wholesale propane for El Paso Field Services Co., a business unit of Houston-based El Paso Corp. El Paso is the nation’s second largest producer of natural gas liquids, behind only Duke Energy. “Supplies are adequate at 65 million barrels, which is above the five-year average. The petrochems requirements are stronger than last year, but not at levels that would cause supply concerns. As an industry, we’re positioned well enough to handle the winter if it’s in the right place at the right time. Retailers just need to work with their supplier to forecast properly,” Delay says. As veteran marketers can attest, however, that primary storage indicator is no guarantee that customers will get all the propane they need this upcoming heating season. This year, in particular, brings lots of baggage – an insurance crisis, the threat of war in the Middle East, the turbulence of Wall Street and ongoing concerns about terrorist acts in the United States – to compound the standard industry challenges of supply and pricing. “Propane pricing is being driven by the price of crude in the current environment, and a rising crude price will push propane right along with it. By now I think we all realize that propane is a world commodity that makes pricing subject to many conditions,” Delay observes. “If we get cold weather we could see some pricing spikes as result of infrastructure issues, but I don’t think these will be solely related to propane. If we have cold weather in the United States, all the energy commodities are impacted. I think propane will ride along with that. El Paso Midstream Group’s extensive processing network in Louisiana, which includes its Eunice (opposite page) and Pelican (above) plants, is well positioned to benefit from the rich gas supplies develped in the deepwater Gulf of Mexico. Cash-starved propane retailers across the nation will gladly take their chances with supply challenges at this point. Four of the last five winters have been mild to balmy, including some of the warmest on record. This past year, it took an unseasonably long, cool spring to keep many marketers from losing their shirts on pre-bought supply that wasn’t needed. Nationwide, the propane industry needs a long, cold stretch of winter weather to generate the cash needed for capital purchases and other investments that marketers have been forced to postpone. Assuming that cold weather does arrive this winter, look for a renewed debate over the shortfalls of the industry’s infrastructure, particularly storage. A recent study by the Propane Education & Research Council indicates there are 137 million barrels of primary storage capacity, 9.1 million barrels of secondary (bulk/dealer) storage, and 111 million barrels of end-use (customer) storage. Those numbers underscore the disconcerting fact that the industry can have trouble filling customer tanks even when there is adequate supply. Record-cold temperatures two years ago had propane marketers waiting long, grueling hours along the major pipelines to replenish depleted supply. The price spikes that typically accompany those crunches had customers howling at the federal government do something to protect their wallets as well as their gas supply. 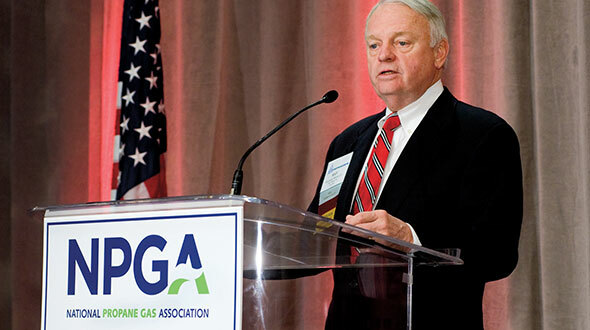 The National Propane Gas Association’s answer was to target the storage bottleneck. It successfully lobbied for tax incentives to help propane retailers invest in additional storage. But even that success has run into hurdles since cash is so tight. “Secondary storage is always the last thing that people look at building. And maybe it’s not the way we need to go as an industry,” suggests Delay, a 22-year propane industry veteran who worked for Warren Petroleum, Dynegy and PG&E Gas Transmission before joining El Paso when it bought the NGL business of PG&E in 2000. Getting propane retailers to push customers to fill up in the summer sounds great. But there are reality checks with that plan, too. “Probably the biggest drawback to getting product into the field is the cash flow. It will always impact us in that regard,” Delay admits. According to Delay, not much has changed in the buying habits of propane marketers over the years. His customers still want to know supply will be there, first and foremost, and that the price will be fair. Factor those two together and it is understandable why more marketers want help in deciding when and how to buy their product. More than ever, propane marketers are looking at financial hedging strategies to help them stretch their dollars and overcome cash flow hurdles. “There’s more and more interest about hedging in the propane industry today. 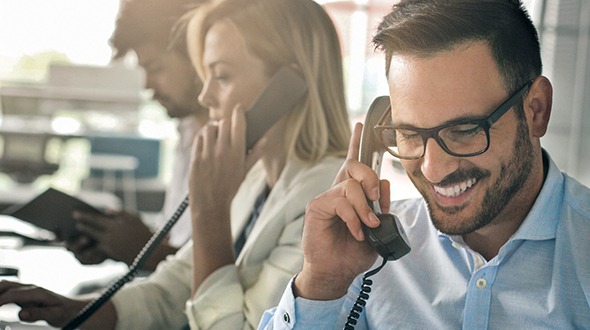 I think there’s been a lot of romance and glamour about it, and there are many seminars to help educate marketers about these tools,” Delay says, noting that many second- and third-generation retail families are choosing those strategies. The Chaco cryogenic processing plant in the San Juan Basin of New Mexico is the third-largest natural gas processing plant in the United States. 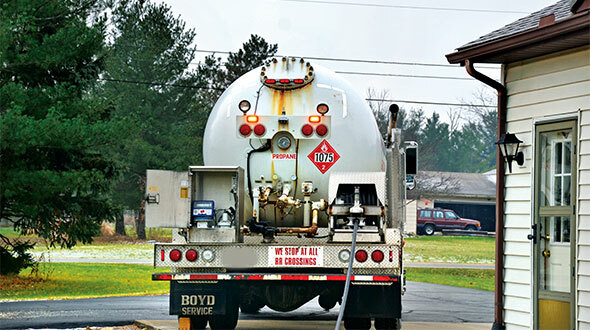 El Paso Field Services, which accounts for 6 percent of the parent company’s total revenues, sells more than 700 million gallons of propane annually, 240 million gallons of which goes to the propane retail market. The wholesaler is active in three major U.S. markets where its production and storage facilities are located: South Texas (which produces almost 16 percent of the nation’s natural gas supply), along Dixie Pipeline from Louisiana to South Carolina, and in the Rocky Mountains. It also maintains strong commitments to the northern Mexico markets and postings on the TEPPCO pipeline system. According to Delay, the company traditionally focuses its wholesale business around its production and storage facilities so that it can best support the market with alternate sources of supply. Founded in 1928, the natural gas giant owns 58,000 miles of pipelines, including 24,000 miles in its midstream businesses. It operates nine offshore platforms, primarily in Gulf of Mexico. Its 35 natural gas processing plants produce 170,000 barrels (7.1 million gallons) of natural gas liquids per day with capacity for 160,000 barrels per day of liquids fractionation. El Paso also owns 9 million barrels of liquids storage. Four veteran sales managers work the territory along with Delay. Rosie Dzanski handles the underground space leasing at the Hattiesburg facilities and the four plants in the Rockies and TEPPCO pipeline sales. Howard Boone is responsible for sales east of Hattiesburg along the Dixie terminal and other accounts in the southeast. Mike McCown covers the Texas territory. What you won’t get from the El Paso team is a one-size-fits-all approach to buying product for the year. Propane marketers no longer can bank on summer prices being the cheapest. So how does a conscientious marketer best guard against bad buying decisions in a volatile market? Delay says the right hedging strategy can protect retailers from over extending themselves now and take the sting out of future price spikes. 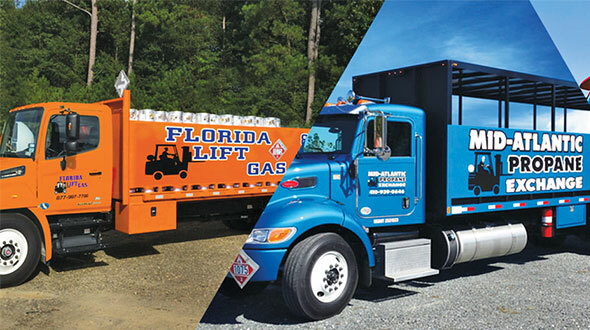 Historically, propane retailers have been very consistent about passing on price increases and decreases to their customers in order to maintain fair margins. “It’s only when you don’t pass them along that you need risk management tools,” Delay says.